Be it major fire, storm or bomb discovery - millions of people rely on KATWARN. KATRETTER – Everybody can help! 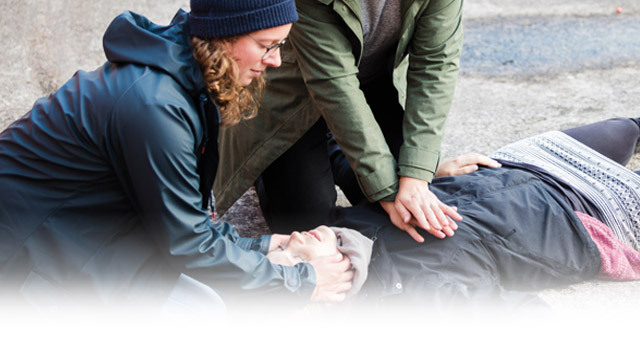 In order to save lives, offering first aid immediately is more than essential. Depending on the individual skills and special knowledge, in a wide range of emergency or crisis situations, everybody can make a contribution by providing help. In Berlin alone, this is the case about 3.600 times every year. Starting from mid-2018, the KATRETTER system will support the local fire departments in case of emergency or crisis situations, by addressing only the appropriate volunteers within a few seconds – via mobile, in a legally secure way and location-based. The KATRETTER system can be used in a similar manner across every local rescue department and coordination center in Germany. In addition, the system is available and free of charge to everyone, who would like to engage as a volunteer by providing assistance to people in need. Additional information on how to use KATRETTER in your local area will soon be supplemented. KATRETTER is based on the results of a three-year research project of the German Federal Ministry of Education and Research (BMBF), in which, among others, the fire-brigades of Berlin and Fraunhofer FOKUS have played a significant role. The integration of data protection experts and controllers in accordance with the principle of 'privacy by design' provides a legally secure coordination and performance of alerting and disaster operations. Additionally, the efficient process of registration of volunteers ensures that the administrative expense is kept to a minimum. You are currently working for a rescue service and we caught your attention? Please feel free to contact us via info@katretter.de.